Pecan Orchard East | American Forest Management Inc. The Pecan Orchard East Tract is a ±119.03 acre tract that is located on the Randolph / Terrell County line. It has approximately 64 acres of bottom-land and ±55 acres of 15-year-old pine plantation. The tract is being purchased by an adjoining landowner and will accessed from his property. 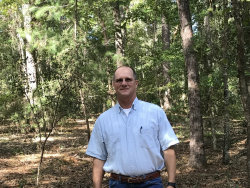 Hi, I'm interested in the Pecan Orchard East in Terrell County, GA, and I'd like more information. Can you help?